I did some browsing of the forum and I have so far been unable to find a clear answer to this question. I'm interested in building an emulator box (building it into an old NES). I want to be able to play Gamecube games (any one theoretically) but no interest in emulating Wii games. I assume I don't need as powerful of a processor/GPU for this, correct? One of the mobos I was looking at had a built in Atom N330. Would this be enough to handle gamecube games? If not, can you recommend something that would handle it (given very tight space requirements). If anyone has done something similar your recommendations would be very much appreciated! The necessary components don't really have much to do with the console, but mostly with the games. Twilight Princess on the GameCube, for example, requires a powerful CPU (preferably an i3/i5 third gen dual core @ 3.6 GHz or so at turbo). Some games may be more intense than that. The only real way to get full speed in almost every game out there is to get an i5 3570K and an aftermarket cooler so you can overclock to 4.2GHz. That should work for any GameCube game I could think of and is probably overkill, but some of the more demanding GC games might need it. Most, yes, but some popular ones have speed issues. This thread might help you out some. Personally I would ditch the NES case idea. Doesn't seem quite as nice as what SN3S set up. Unfortunately the NES box is kind of a sticking point (the inspiration for the project). I've built plenty of gaming, office and HTPCs and I really want to tackle a custom emulator box like this. This means that a GPU is probably unlikely and a mITX board definitely necessary. The A8-3870k and 3850 look awesome! I was also reading about the A10 and since they appear to be coming out in the next week or so I can definitely wait on that. I'm not familiar with most AMD IGPs, but a dedicated GPU is a must if you want to run GameCube games full speed even at native resolution. Which one, idk. AMD GPUs are foreign to me; NVIDIA is more familiar. 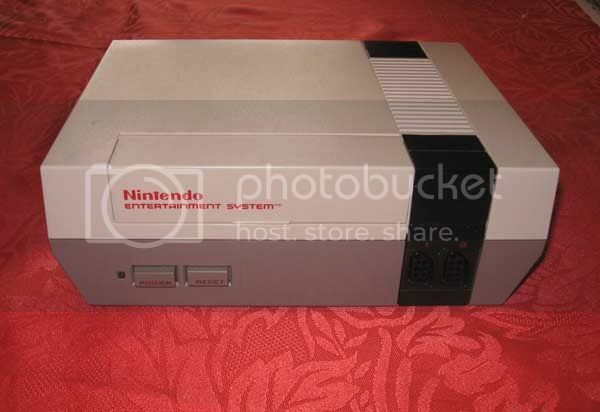 (10-01-2012, 11:58 AM)Axxer Wrote: Personally I would ditch the NES case idea. Doesn't seem quite as nice as what SN3S set up. I disagree. The NES case is really nice. Very old-school but nice. Looks like old 70's-80's systems. SNES case has a modern style not very different from actual systems.